The Maintenance Department provides equipment repair and maintenance services, including electrical instrumentation, process control, and mechanical & electrical services for treatment plant operations, collection system lift stations facilities, vehicles, buildings, and a 720 kilowatt cogeneration and emergency generator facilities. 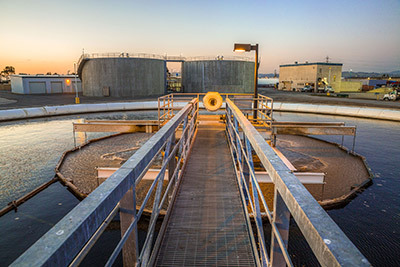 Additionally, the department maintains an on-site pump station and recycled water facility owned by East Bay Dischargers Authority. The Maintenance Department also manages and/or builds small capital improvement projects. Zero lost time accidents in all years and zero reportable injury years (3 out 10 years). Zero permit violations due to equipment failures. Maintain average monthly backlog to under 25% of the current month’s output. Maintain 95% annual uptime on cogeneration system. Maintain lift station contingency plan and provide training to allow 90 minute response and bypass at all remote sites. Maintain zero lift station overflows or effluent violations due to equipment or instrumentation failures. Ensure that department expenses do not exceed the adopted budget.